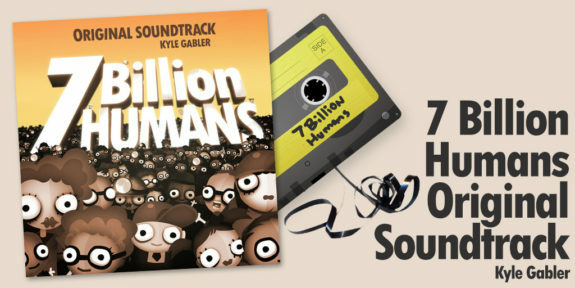 Strap those 7 billion headphones around those 14 billion ears, here is the official 7 Billion Humans Original Soundtrack! You can also find the Human Resource Machine soundtrack here, the Little Inferno soundtrack here, and the World of Goo soundtrack here. Thanks for listening, and happy multi-threaded programming! Please link to this page, not directly to the files below. Thanks! Everything you need to know about 7 Billion Humans is here. 01. Welcome All 7 Billion Humans! 06. And Go and Go! And Go? And Go!